304 pages | 8 B/W Illus. 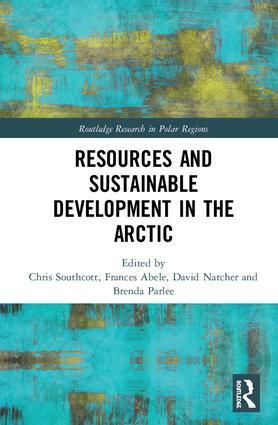 The Routledge series in Polar Regions seeks to include research and policy debates about trends and events taking place in two important world regions, the Arctic and Antarctic. Previously neglected periphery regions, with climate change, resource development, and shifting geopolitics, these regions are becoming increasingly crucial to happenings outside these regions. At the same time, the economies, societies, and natural environments of the Arctic are undergoing rapid change. This new series seeks to draw upon fieldwork, satellite observations, archival studies, and other research methods which inform about crucial developments in the Polar regions. The series is interdisciplinary drawing on the work of anthropologists, geographers, economists, political scientists, botanists, climatologists, GIS and geospatial techniques specialists, oceanographers, earth scientists, biologists, historians, engineers, and many others. Topics within any of these disciplines or multidisciplinary research combining several disciplines are sought. They can focus on one region in the Arctic or Antarctic or all of either Polar region or both. The emphasis in the series is on linking cutting edge research in the Polar regions with the policy implications of the research findings.